It’s that time again! Time for Workout Wednesday! When someone has toned arms, it gives the overall impression of fitness. Try this 20 minute arm workout to build strength in your biceps, triceps, and shoulders and get that lean appearance that looks great in short sleeves and tanktops. One set of down-down-up-up is a rep. Complete 20 reps! Remember – this workout must be completed 3 times in a row! Good luck, and let me know in the comments if you try it! 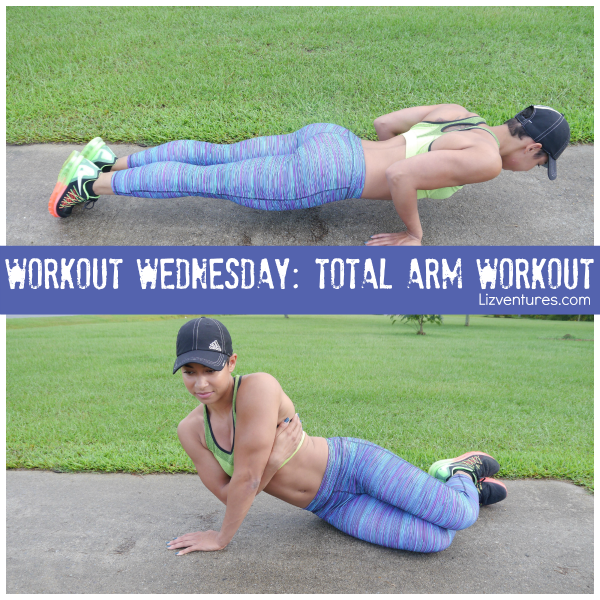 I’m back with this week’s Workout Wednesday! This time it’s a 15 minute ab workout that will whip your core into shape. This ab workout will help you tone up AND build strength. Core work is very important to your overall health, as it helps improve your posture and can correct strength imbalances that contribute to back pain. Lower knees to the right, engaging abs, then to the left. Alternate 20 times. Remember – to complete this workout, you have to do it twice in a row! Good luck, and let me know in the comments if you try it! 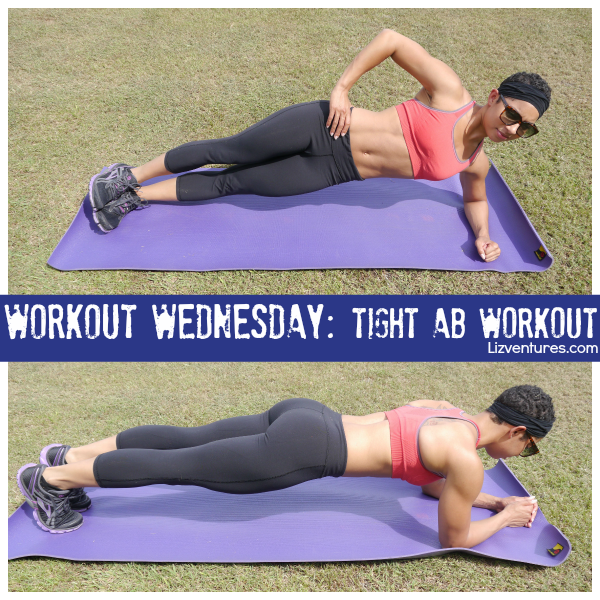 Comin’ atcha again with this week’s Workout Wednesday! 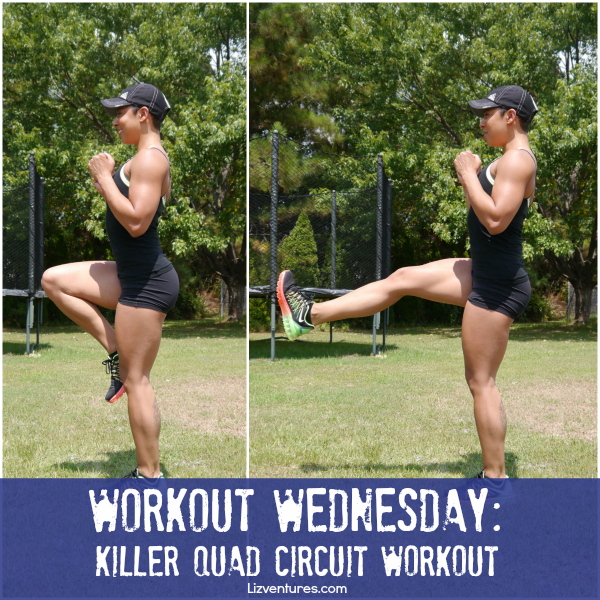 It’s a quad workout – feel the burn! If you don’t have a jumprope, just mime the motion. Reach right leg back into a deep lunge. Knees and toes of both legs should be pointing forward. Extend right foot forward slowly, keeping leg as high as possible. Squeeze your quad! Place feet shoulder width apart and squat. Sit back into it; knees should not pass toes. As you come up, tap your right foot to the side. Repeat the squat and tap on the left side. You’ve done one rep.
For a challenge, jump up onto both feet at once! Remember, you need to repeat this workout 3 more times for a total of 4 rounds. Have fun, and let me know in the comments if you try it! 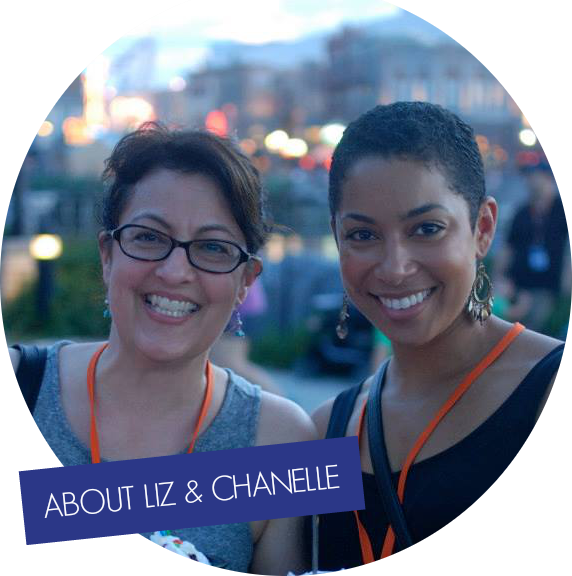 As you probably know (because I won’t stop talking about it), I’m a professional bodybuilder! I thought I’d use my Hulk powers for good and post workouts that you can do at home or in the gym. 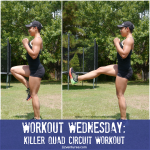 So without further ado, here’s Workout Wednesday #1! It’s a glute workout and requires absolutely no equipment. Tap your right foot on the step, then switch. That’s one rep.
Alternate as quickly as possible for 50 reps.
As you stand back up, lift your right leg with toe pointed forward. Squeeze your glutes! Repeat on the other side. That’s one rep. Lift your right leg with toe pointed to the ground. Squeeze your glute! Repeat 15 times, then repeat on left side. Lift your right knee so that it’s parallel to the ground, then hop/switch to left leg. That’s one rep.
After this workout, I went for a short 1/2 mile jog to round it off. Let me know if you try this super fun and sweaty workout! Brad Pitt loves my workouts.